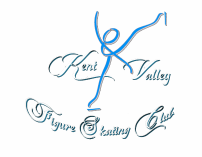 Kent Valley FSC would like to welcome all of our members to the upcoming figure skating season of 2018-2019. This year will be a fantastic one as we have many exciting events that are coming up! First of all, we would like to welcome back and congratulate our returning skaters for a season well done this past year. For those of you who are just joining us, we would like to welcome each one of you. We are glad to have you!